DIRECT Gulf Front 1 BR condo. recently updated, fully equipped, very spacious, and very luxurious. with the most amenities on the island. 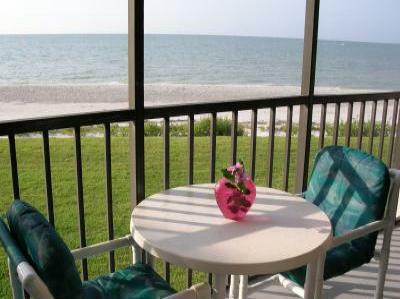 The Sanibel area has it all. boutique shopping, and gourmet restaurants. Rates are weekly and subject to 11% tax. Deposit required is $300 or 20%, whichever is greater.